Many homeowners believe that having a basement can be very useful in a number of ways. Some people use it as a place where they can do certain household chores such as doing the laundry and ironing clothes. However, majority of homeowners regard basements as nothing but a dumping ground where they can easily put in the things that are no longer in use. 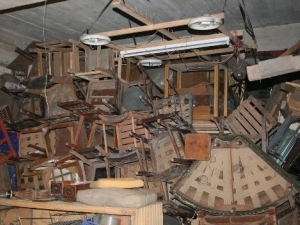 If you have a basement and you have been dumping your old stuff in it quite regularly, there’s a high chance that your basement has become cluttered with loads of unwanted items. Sooner or later, you will realize that your basement needs some sorting which may seem like a scary thing to do. Our office at 1300Rubbish can definitely help you when it comes to de-cluttering the basement. With our decades of professional and reliable rubbish removal services, we can make your basement and any other rooms in the house absolutely free from all types of rubbish to make it clutter-free. Here are some reasons why it’s important to consider a de-cluttering project for your basement. Gain more value for your home. By calling our office for rubbish removal services, your basement can surely gain more available space which you can ultimately use for other activities or purposes. Make your basement a safer place. When your basement is free from any form of rubbish, you can be sure that it will also be free from rodents and any other destructive animals. You can easily navigate the area without the risk of getting an injury. Get real value for your money. Contacting our office at 1300Rubbish can definitely give you real value for your money. We take pride in our work and value customer satisfaction more than anything. Cleaning up your basement may seem too much to handle but in reality, it involves only three simple steps. STEP 1. Make an estimate. In order to have a successful start in the cleanout process, it’s necessary to get a price estimate. Simply call our office by dialling 1300 78 22 47 and our friendly customer service team will give you a free and non-obligation quote. STEP 2. Basement Rubbish Collection. After cleaning out your basement, we will sweep up the area to make sure that it’s free from any signs of rubbish. STEP 3. Basement rubbish disposal with care. Once we have collected your basement rubbish, we will bring it to an accredited and licensed facility where rubbish items are reused or donated. This is in line with our commitment to keep the waste from being dumped in landfills. Apart from dialling our office number, you can also book for a basement rubbish cleanout service by using our online form. Simply enter your details such as your name, email and phone number so we would know how to reach you. We can agree on a schedule to conduct the service and give you a free price estimate.